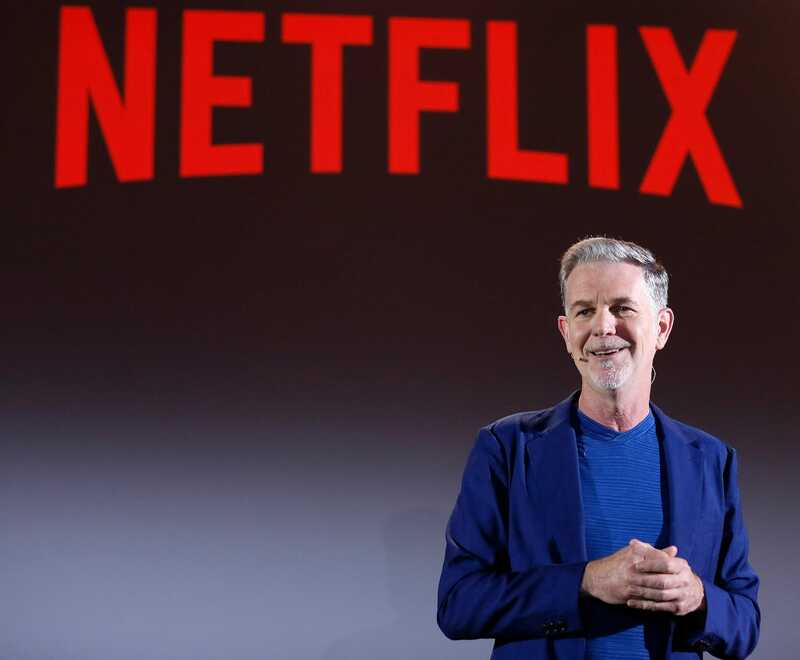 Netflix posted Tuesday third-quarter earnings and subscriber growth that topped expectations. Shares rallied 14% on the news. 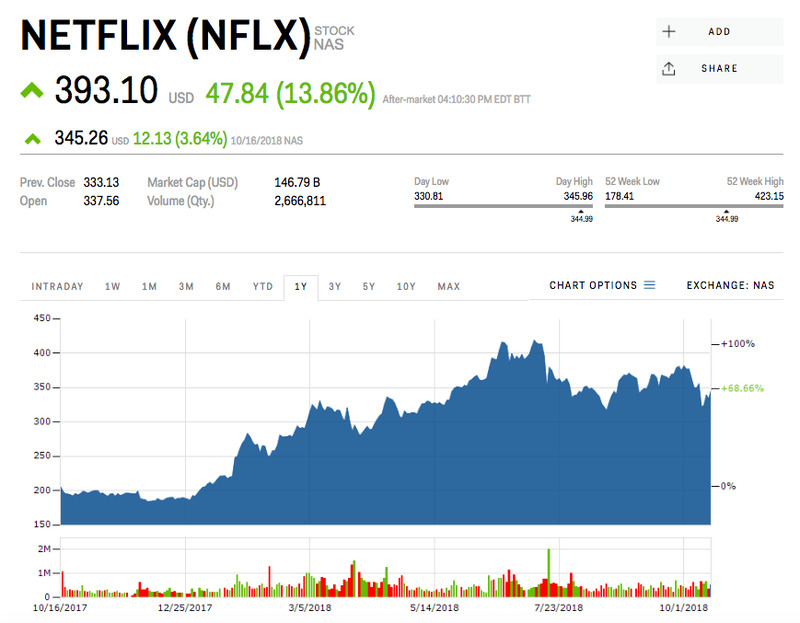 Netflix shares rallied 14% following Tuesday’s closing bell after the streaming giant announced third-quarter earnings and subscriber growth blew past Wall Street expectations. Subscriber additions: 7 million total. Analysts were expecting 4.8 million – 600,000 in the US and 4.2 million internationally, according to Nomura Instinet. In the third quarter last year, Netflix added 5.3 million subs. Earnings per share: $US0.89. Analysts were looking for $US0.68 a share. In the third quarter of 2017, Netflix earned $US0.29 a share. Revenue: $US4 billion. Analysts were expecting $US4 billion, according to Bloomberg. In the third quarter last year, Netflix posted $US2.99 billion in sales. Total streaming net change for fourth quarter:9.4 million. Analysts were expecting 7.7 million – 1.6 million in the US and 6.1 million internationally, according to Instinet. Netflix has gained 96% this year, including Tuesday’s post earnings move.